The factory HENRI SELMER was found in 1885 and is famous for a familiar and traditional production of high quality wind instruments. Because of a long periode of research and development in cooperation with a lot of professional musicians many instrumental innovations came from HENRI SELMER PARIS. The SELMER trademark are instruments with unique acoustic qualities. 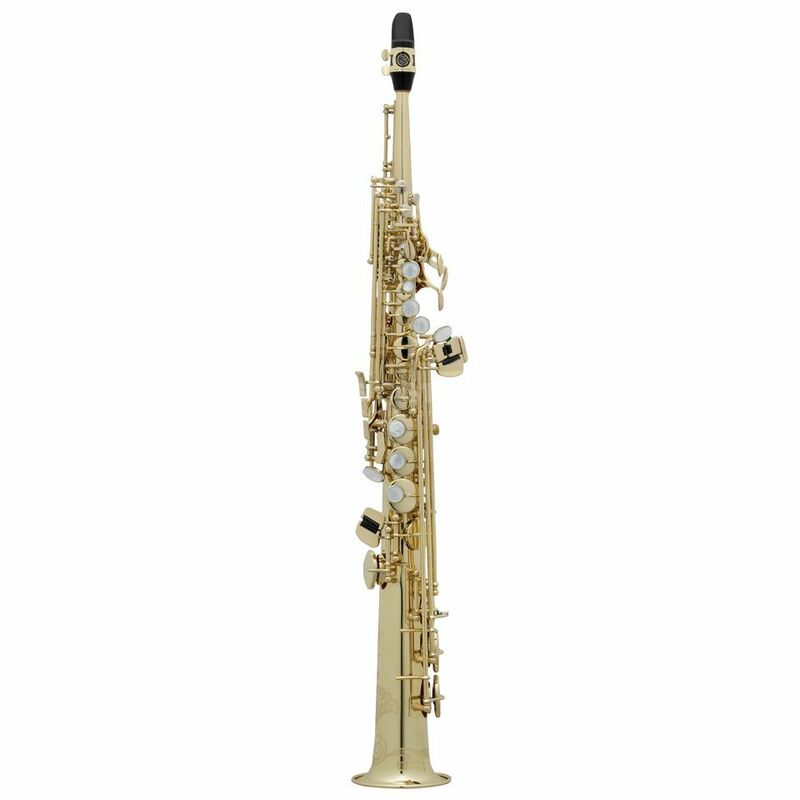 The SELMER SE-S2L Soprano Saxophone Super Action 80 II is made out of one piece in a straight form. This offers a direct and focussed sound. Especially jazz saxophonists are looking for this excellent projection of sound and color of this instrument. The proven mechanic cares for a perfect handling and reliability.